Now do the Solosimpi take great joy of [?their] birds, and of the swans, and behold upon the lakes of Tol Eressëa already they fare on rafts of fallen timber, and some harness thereto swans and speed across the waters; but the more hardy dare out upon the sea and the gulls draw them, and when Ulmo saw that he was very glad. For lo! 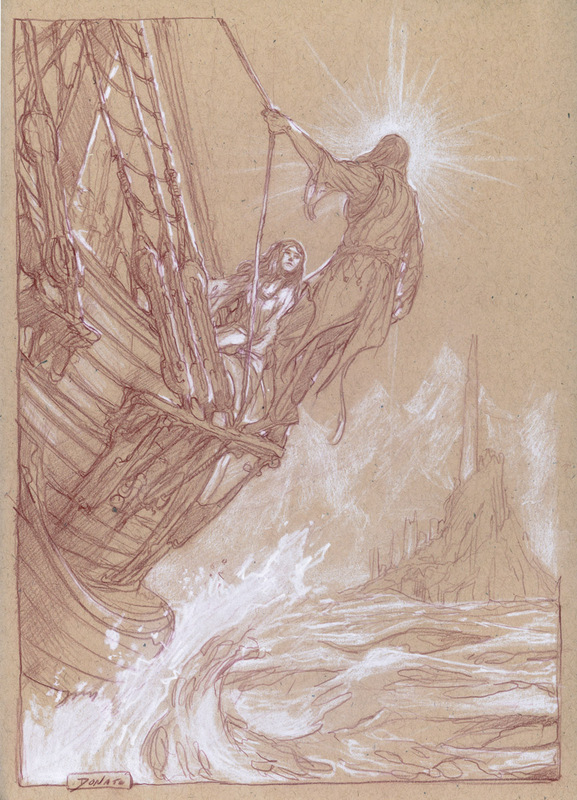 the Teleri and the Noldoli complain much to Manwë of the separation of the Solosimpi, and the Gods desire them to be drawn to Valinor; but Ulmo cannot yet think of any device save by help of Ossë and the Oarni, and will not be humbled to this. But now does he fare home in haste to Aulë, and those twain get them speedily to Tol Eressëa, and Oromë was with them, and there is the first hewing of trees that was done in the world outside Valinor. Now does Aulë of the sawn wood of pine and oak make great vessels like to the bodies of swans, and these he covers with the bark of silver birches, or .... with gathered feathers with the oily plumage of Ossë's birds, and they are nailed and [?sturdily] riveted and fastened with silver, and he carves the prows for them like the necks of upheld swans, but they are hollow and have no feet; and by cords of great strength and slimness are gulls and petrels harnessed to them, for they were tame to the hands of the Solosimpi, because their hearts were so turned by Ossë. 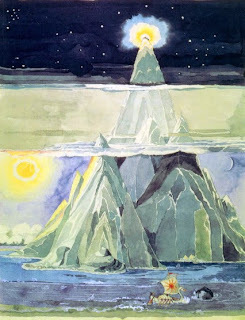 And though Tolkien never wrote more than a few scraps and notes of Eärendil's tale, he nevertheless had at least one detail of his ship clear in his mind. It was 'shaped as a swan of pearls' (The Book of Lost Tales, Part Two, 263). Tuor, Eärendil's father, had a boat just like those of the Elves of Tol Eressëa, 'with a prow fashioned like to the neck of a swan' (BoLT 2.151), and he was subsequently guided by swans on a path that led him in time to Gondolin, where he adopted the swan's wing as the sign of his house (2.152-160).2 In his later years, after Gondolin had fallen, Tuor built a ship called 'Swanwing' in which he sought to sail to Valinor (2.253-55, 260, 263, 265), on whose shores was Alqualuntë (later Alqualondë), 'Swan-Haven,' where the ships of the Solosimpi were berthed (BoLT 1.163-64). The Swan passed on slowly to the hythe, and they turned their boats and followed it. In the song Bilbo sings at Rivendell he can still say of Eärendil's ship: '[h]er prow he fashioned like a swan' (FR 2.i.234); and the banner of the Prince of Dol Amroth bears 'a white ship like a silver swan upon blue water' (RK 5.viii.871; cf. 6.iv.953). We can also find swans and swanships in The Silmarillion (61, 238), and the link between these birds and Tuor is maintained in the lengthy fragment Of Tuor and His Coming to Gondolin in Unfinished Tales (25-28). So clearly the images of the swans and the swan-ships had an abiding appeal for Tolkien, but where the swanships come from is a question that to my knowledge has not been answered. There are a number of possibilities, and though I incline more to one than the others, it is not implausible or unlikely that several influences combined to produce the swanships. 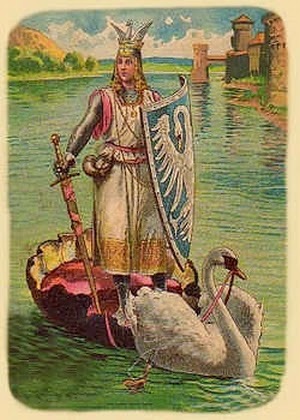 For a medievalist and a man of his time like Tolkien inspiration might also be found in the tale, first found in the late 12th century, of the Knight of the Swan and more recently in Wagner's Lohengrin. 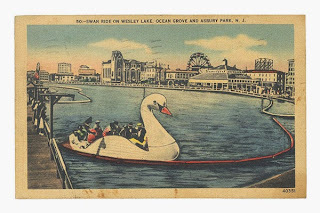 In sum, a mysterious knight arrives in a boat drawn by a swan to rescue a woman in peril. Here there clearly seems to be a link to the passage of The Book of Lost Tales I quoted above, which describes the swans pulling the rafts on the lakes of Tol Eressëa. But while this might explain the swans drawing the boats in the lakes, it does not explain the swanships themselves. For this we must look elsewhere. Fortunately an answer seems to be ready at hand, in a source that will surprise no one. mærne þéoden, þá him wæs manna ðearf. that well-known king needing brave new men. Heals, the second element in the adjective fámiheals, means both prow and neck, and the poet plays ably on both these senses in fámiheals fugle gelícost. Birds don't move fast enough through the water to make the sea foam around them, but ships do; and ships don't have necks, but birds do. 'Its foamy prow so like a bird's neck' catches, I think, the double sense of it, but loses the poem's eloquent compression. 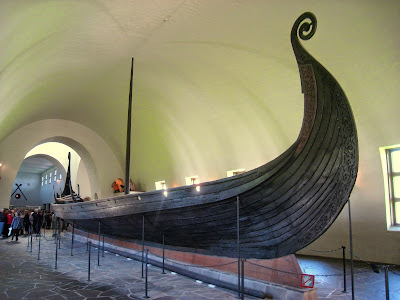 Nevertheless, the poet evokes the image of a bird here to describe Beowulf's ship, and it can hardly be an accident that seventeen lines earlier he had chosen to use swanrad when he could just as easily have used hronrad,7 but instead of the whale he conjured the swan, whose neck curves so like the prow of a ship of this era. If, moreover, we turn back for a moment to consider Galadriel's swan-ship, 'wrought and carved with elven skill in the likeness of a bird,' we can see an interesting progression in Tolkien's description of it. When the members of the fellowship first see it, they take it to be a proper 'swan.' Then they realize that it is in fact a 'swan-ship.' And finally it becomes a 'Swan.' From 'swan' to 'swan-ship' to 'Swan,' it's like watching the birth of a kenning. If Tolkien did not recognize the swan in swanrad as itself a kenning for ship, he turned it into one here. On balance then there seems to be ample evidence for tracing Tolkien's inspiration for the swanships to the combination of swanrad and fámiheals fugle gelícost. Other influences are not to be ignored for other aspects of the swanships, like the Knight of the Swan and the likelihood that Tolkien saw swanboats at Hinksey Park. Michael Martinez has summarized still other likely reasons for the imagery of swans in Tolkien. But the ships themselves first sailed the swanroad. 1 For those not familiar with The Book of Lost Tales, a couple of quick observations may be useful. First, it contains early versions of many stories that we later see in The Silmarillion, but these stories often differ greatly in emphasis, tone, style, names, and characterization (to name a few). Some find these differences as surprising as The Silmarillion itself is to those who have known only The Hobbit and The Lord of the Rings. The Book of Lost Tales, however, is as interesting a work in its own right as it is as a precursor to the later tales. Second, Christopher Tolkien performed heroic work on chaotic manuscripts to come up with a publishable version, reading nearly unreadable handwriting set down in faded 70 year old pencil on paper that had sometimes held older versions which had been erased and overwritten. No doubt an electron microscope and a palantír would have come in handy. For the date see The Book of Lost Tales, Part One (Boston 1984) 1.203; The Book of Lost Tales, Part Two (Boston 1984) 2.146-47; Unfinished Tales (1981) 4-5. 2 At BoLT 2.160 Tuor names himself as being 'of the house of the Swan.' He seems to have taken this description to himself rather than inheriting it: 'This [dwelling] by slow labor [Tuor] adorned with fair carvings of the beasts and trees and flowers and birds that he knew about the waters of Mithrim, and ever among them was the Swan the chief, for Tuor loved this emblem and it became the sign of himself, his kindred and folk thereafter' (2.152). 3 Hinksey Park was built on the grounds of the former Oxford Waterworks, which were purchased for this purpose in 1934. See here. 4 I contacted the gentleman who had placed the notice in Amon Hen by email, to which he was kind enough to reply as quoted. Unfortunately he did not have a photograph of his swan-boats, and I have so far been unable to find one. 5 Robert H. Woodward, 'Swanrad in Beowulf,' Modern Language Notes 69 (1954) 544-46. He also identifies parallels in Old Norse using svan. 6 I supply my own translation here because I think a more literal rendering is necessary to the point being made. I also think Williamson's otherwise excellent translation of Beowulf stumbles on fámiheals fugle gelícost, for which he gives us 'the foam-necked floater.' To be sure flota is a rather colorless word for ship, but the super-literal 'floater' conceals more than it reveals. And revelation is what we seek here. 7 On hronrad see Tolkien, Beowulf: A Translation and Commentary (2014) 141-43, where he argues that "'whale road'-- which suggests a sort of semi-submarine steam engine running along submerged metal rails over the Atlantic" is not quite the right translation for this word. 8 The poetic and the literal prose translations come from On Translating Beowulf, 63 and 69 respectively, reprinted in in The Monsters and the Critics and Other Essays (London, 2006), and the prose from Beowulf: A Translation and Commentary (New York 2014). 9 What the difference may be between swan and ilfette is unknown to me. Hexam. 8 suggests that to some there was one: sume fugelas beóþ langsweorede swá swá swanas ond ilfette. 'Some birds are long-necked like swanas and ilfette. 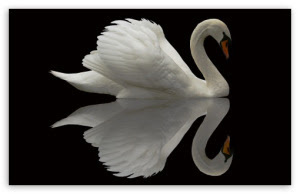 According to Bosworth Toller, in Icelandic svanr, the cognate of swan is only poetical, while alpt/alft, the cognate of ilfette, was the normal word for swan, but it does not appear from the citations in Bosworth Toller that Old English maintained so neat a distinction. A Long-Expected Party and The Shadow of the Past paint a very ugly portrait of Gollum. The one thing that runs counter to this is Gandalf's attempt, fiercely resisted by Frodo, to draw a line from one hobbit to the next, from Sméagol to Bilbo to Frodo, all linked inexorably by the devouring corruption of the Ring. Gollum's is a 'sad story...and it might have happened to others, even to some hobbits I have known' (FR 1.ii.54). By whom of course the wizard means Bilbo, but his concern is not limited to him alone. For years now he has been concerned for Frodo, since what might have happened to the elder Baggins may yet befall the younger (FR 1.ii.49). What saved Bilbo, Gandalf has no doubt, was the pity he showed Gollum, and so for Frodo's sake -- not solely but in particular: 'the pity of Bilbo may rule the fate of many - yours not least' (emphasis added) -- he tries to evoke the same pity from him (FR 1.ii.59). Yet Gandalf fails. Frodo neither feels pity nor wishes to. Even his concession that Gandalf may not be wrong about Bilbo's not killing Gollum is hedged about with qualifications: 'All the same...even if Bilbo could not kill Gollum...' (FR 1.ii.60). All the same? Even if? Could not? That's a bit of a dodgy retreat from '[w]hat a pity that Bilbo did not stab that vile creature, when he had a chance!' (FR 1.ii.59, emphasis added). Frodo's fear of Sauron and loathing of Gollum prevail. The Tale moves on, and the subject of Gollum vanishes from it for a long time. Six months pass in narrative time, and 190 pages (FR 1.ii.60; 2.ii.249), before anyone mentions him again. In the press of events his image fades from the reader's mind. Since, however, pity will prove to be of the greatest importance, we will do well to give it a moment's thought before we move on. In our world pity often comes as the harbinger of rationalization. 'Sad stories' like Gollum's are adduced to argue that the villain is also a victim whose own sufferings mitigate in some degree his guilt and fitness for punishment. Not so here. In this Tale, the Pity that really matters is not the kind that compassion beclouds or disgust taints -- of both of which we will see examples. Gandalf recognizes Gollum's crimes and admits the justice of Frodo's assertion that Gollum 'deserves death' (FR 1.ii.59).1 In the eyes of the wizard, it seems, all acts, just and unjust, are balanced against each other. If one cannot save from death those who do not deserve to die, it may be better to withhold the punishment of those who do not deserve to live. This is so even when the most his pity can say is that, because of the evil and malice within Gollum, there is little or no hope that he might be cured (FR 1.ii.55, 59). It is the pity of a clear vision undeceived. But it, too, will seem as forgotten as Gollum by the time he is next mentioned in The Council of Elrond. There, in Rivendell, Bilbo speaks of him, and in doing so reminds us of the effect the Ring has had on them both. To some there Bilbo's tale was wholly new, and they listened with amazement while the old hobbit, actually not at all displeased, recounted his adventure with Gollum, at full length. He did not omit a single riddle, He would have given also an account of his party and disappearance from the Shire, if he had been allowed; but Elrond raised his hand. How different Bilbo is now from the night of his birthday party, seventeen years earlier in narrative time. Then, as we saw, he revealed much about Gollum by acting and speaking like him. He was full of the rationalizations which he now disavows -- that the Ring was his very own and he had not stolen it -- and of a rather savage willingness to defend his ownership, by murder if necessary. Now he complies with Elrond's bidding with a readiness, and apologizes to Glóin with a grace, that bear little resemblance to his behavior his last night in Bag End, when he accused Gandalf of wanting his Ring for himself and set his hand to the hilt of his sword. The difference is that now he is free of the Ring. The song and the laugh with which he left Bag End signaled more than a momentary relief. 'Well, I should just like to see it for a moment,' said Bilbo. When he had dressed, Frodo found that while he slept the Ring had been hung about his neck on a new chain, light but strong. Slowly he drew it out. Bilbo put out his hand. But Frodo quickly drew back the Ring. To his distress and amazement he found that he was no longer looking at Bilbo; a shadow seemed to have fallen between them, and through it he found himself eyeing a little wrinkled creature with a hungry face and bony groping hands. He felt a desire to strike him. Since the scene is told from Frodo's perspective, we can only speculate on what Bilbo saw in his face in that moment. Perhaps a reflection of himself seventeen years earlier, perhaps of Gollum sixty years before that. But he seems to guess what Frodo is experiencing, from a telltale gesture: Frodo pulls his hand suddenly back rather than let Bilbo touch the Ring, almost the same movement Bilbo had made the very last instant he held it and was in the act of trying to let it go (FR 1.i.35). It is also no accident that when Aragorn tells his part of the tale, he describes a Gollum we have seen before, in Gandalf's description of him to Frodo (FR 1.ii.52-55), head always down, eyes always down, 'nosing about the banks,' precisely what he was doing before Déagol found the Ring and he killed him for it. 'Not through lack of watchfulness,' said Legolas; 'but perhaps through over-kindliness. And we fear that the prisoner had aid from others, and that more is known of our doings than we could wish. We guarded this creature day and night, at Gandalf's bidding, much though we wearied of the task. But Gandalf bade us hope still for his cure, and we had not the heart to keep him ever in dungeons under the earth, where he would fall back into his old black thoughts. 'You were less tender to me,' said Glóin with a flash of his eyes as old memories were stirred of his imprisonment in the deep places of the Elven-king's halls. Like Gandalf, Aragorn can see the suffering Gollum has endured. Perhaps he would even call it 'a sad story' as Gandalf has done, but he is also in no way deceived about the 'malice' that drives and strengthens him, and the evil he could yet do. Just as Gandalf did in The Shadow of the Past Strider mentions Gollum in close connection with Sauron. In his eyes, Gollum's suffering at Sauron's hands and black fear of him made him more than just a prisoner. To some extent he had become a servant of Mordor, set loose for an evil purpose. And the statement Aragorn makes, finding the source of Gollum's strength in his malice, echoes words that Gandalf had only just uttered about The Dark Lord himself: '[this Ring is] the treasure of the Enemy, fraught with all his malice, and in it lies a great part of his strength of old' (FR 2.ii.254). Nor should we neglect Strider's rebuke of Legolas in lofty, formal language as part of the portrayal of Gollum. Though it might come as a surprise, given Tolkien's love of words native and archaic, 'rue' is a word he uses sparingly, reserving it for matters of serious regret. The word appears only three more times in The Lord of the Rings, and not again after the present scene until The Return of the King. Speaking of the forlorn defense of Osgiliath, Faramir says: 'Today we may make the Enemy pay ten times our loss at the passage and yet rue the exchange' (5.iv.816). The Rohirrim on the Field of Pelennor, when they believe that Éowyn is dead, tell Prince Imrahil: '...we knew naught of her riding until this hour, and greatly we rue it' (5.vi.845). And Beregond, as he contemplates the body of the porter at the Steward's Door, states: 'This deed I shall ever rue...but a madness of haste was upon me, and he would not listen, but drew sword against me' (5.vii.855). But the sting is in the tail. 'We shall rue it bitterly, I fear' expresses disappointment and the expectation of evil. But '[h]ow came the folk of Thranduil to fail in their trust?' is not merely an archaic way of saying 'oh, no, how did this happen? And after all the trouble I went through to catch him?' It's a reproach, and a demand for accountability. It reveals just how dangerous Aragorn thinks Gollum is. And a significant part of this peril -- but one easily missed at this point because we have not seen him yet ourselves -- is the cunning with which Gollum tries to use the misery of his life to play upon the hearts of those inclined to pity him. We have seen hints of this in Gandalf's account of him to Frodo (FR 1.ii.54-57), and we will see it throughout Book 4. Here he treacherously uses the 'over-kindliness' of the Elves against them, who, hoping for his cure, allow him outside under guard. While there he somehow manages to contact spies of the Enemy and is rescued by Orcs in a bloody affray. As if being rescued by Orcs weren't telling enough, two details are of particular note here. First, the notion that Gollum likes to climb trees in daylight and feel the breeze is almost wholly at odds with the portrait of him given by Gandalf. It is rather 'roots and beginnings' that interested him, and the secrets buried in darkness beneath the mountains (FR 1.ii.53-54). Second, Legolas' statement that by letting Gollum out of his dark cell the Elves were trying to keep him from 'fall[ing] back into his old black thoughts' (FR 2.ii.255), suggests that Gollum had shown improvement: 'fall back' makes no sense otherwise. But Gollum has that within which passeth show: an 'evil part' that would only become 'angrier' if any of this apparent change for the better in him were real (FR 1.ii.55). The details of Legolas' story make it seem far more likely that Gollum was telling the Elves what they wanted to hear in order to cozen them, but his character, as Book Four will reveal, is so complex that we cannot rule out the flicker of hope amid the darkness that Gandalf allowed for. In The Council of Elrond we see the portrait of Gollum begun in the first two chapters enlarged by added emphasis on his cunning and his treachery, on the strength his malice bestows upon him, on his links to the Enemy, and on the penalty one may have to pay for 'overkindliness' to a creature so corrupt. That Gollum is so clever he made fools of the Elves and escaped them must have come as a bit of a shock to Frodo, who was incredulous at the idea that the Elves had not put him to death.10 Another reliable witness with first hand experience of Gollum comes forward in Aragorn, to confirm what Gandalf has already said about him. Again, as in A Long-Expected Party we see Gollum's character illuminated by comparison with the changes in Bilbo, and now, too, Frodo. If anything, the portrayal has grown darker since A Long-Expected Party and The Shadow of the Past. In a sense this is entirely fitting since Gollum first nears the stage in the darkness of Moria, to which we shall next turn our attention. 1 Cf. Faramir's attitude towards Gollum: TT 4.vi.689-93. 2 'Creature' is a word used of Gollum far more often than of any other being in The Lord of the Rings. See Again That Vile Creature, With A Special Appearance by Grendel. Frodo has a similar experience with Sam in The Tower of Cirith Ungol (RK 6.i.911-912). 3 As I discussed elsewhere, the portrayal of Gollum in The Lord of the Rings must stand on its own merits. Nor can we assume that the first time reader will have read The Hobbit or even the parts of the prologue that mention Gollum. I will be discussing The Hobbit and the Prologue in Gollum before The Taming of Sméagol (V) later this year. 4 Does his understanding here reach back to his moment of pity for Gollum, which began with 'a sudden understanding' (The Hobbit 97)? 5 Even near the end, after the Ring has gone into the fire, Bilbo is not finally and wholly free of the it. He again expresses a desire to see it when Frodo stops in Rivendell on his way back to the Shire (RK 6.vi.987). 6 In The Shadow of the Past (FR i.ii.48-49) Gandalf says that Bilbo felt better as soon as he gave up the Ring and that he stopped worrying about him once he did so. He also points out, however, that 'a lot of time' would have to go by before he could safely look upon it, and that Bilbo's giving up the Ring of his own free will made a crucial difference. Obviously Gollum did not do so, nor in the end will Frodo. This does not augur well for their chances of recovery. 7 That he says he 'tamed' him is interesting in view of Frodo's later attempt to do the same in Book Four. As the testimony of Legolas will reveal, Aragorn, like Frodo, never did more than subdue him. 8 I have always taken the words 'I was not gentle' to imply that he beat Gollum, since they seem to describe his immediate response to being bitten rather than to look forward to what he did later. With '[n]othing more did I ever get from him....' Aragorn seems to begin a new thought. Marching someone hundreds of miles, bound and gagged, and withholding food and water to make them compliant is extremely harsh treatment. Gollum had no fond memory of Aragorn (TT 4.iii.643). For more on this journey, described as 'not much short of nine hundred miles, and this Aragorn accomplished with weariness in fifty days,' see UT 342-43. With weariness indeed. 9 As Gandalf clearly suggests when Bilbo calls the Ring his Precious: 'It has been called that before...but not by you' (FR 1.i.33). For discussion see here. 10 'Do you mean to say that you, and the Elves, have let him live after all those horrible deeds?' (FR 1.ii.59). Note how the commas set off and emphasize 'and the Elves' by introducing the pause of incredulity.